DKNY Hits A Grand Slam With Yankee Sponsorship! If you are looking for things that symbolize New York, then look no further than the New York Yankees and Donna Karan. Donna Karan's fashion line DKNY announced today that it will be the very first fashion brand to have a permanent presence in Yankee Stadium. 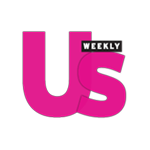 The multi-faceted, long-term sponsorship agreement with the 2009 World Series Championship team and the American fashion house will include a permanent outfield bullpen sign and a DKNY lounge. 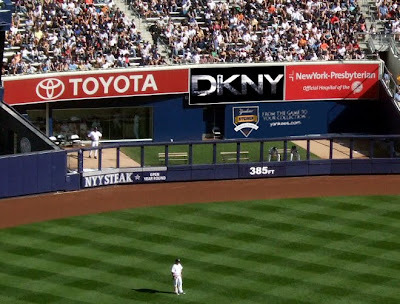 Above: DKNY's permanent outfield bullpen sign, located in right centerfield. The DKNY lounge, located along the third baseline, will allow Champions and Legends Suite ticket holders to dine "DKNY Style" and watch the game on high-definition televisions, featuring DKNY-branded footage on rotation. Sounds like the perfect place to watch the ball game! It is so awesome that DKNY is strengthening the ties between fashion and sports. When I was told that DKNY had a sponsorship with the Yankees I thought that maybe they were designing new uniforms. Maybe we will see some baseball inspired menswear in Spring 2011? DKNY is constantly finding fresh new ways to market and sell the brand. One minute they are working will Kelly Cutrone on new media videos and the next minute they are permanently in Yankee Stadium. GET IT DKNY! P.S. Amazing idea for a fashion show! Having the runway look like a baseball diamond and having fierce teams that rotate being on the field and running (catwalking) the bases! I don't know if the world is ready for triple platform baseball cleats though. If you need more ideas DKNY just let me know! So you're going to a Yankees game with me now, right? nothing is more NYC than DKNY and the Yankees! Couldn't love it more!